Running a RPG requires a lot of time, effort, and communication. 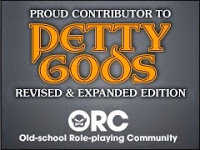 Many GMs have home rules, player handouts, or all manner of information they need to share with their gamers. Sure, you could just print everything off and hand it to them at the game, but what do you do in between sessions or if you want to cut down on the expense and hassle of printing? Email comes to mind, but it isn't a lot of fun shuffling paperwork back and forth via email. Email works great for one-shot communication. 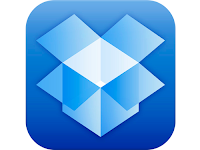 A Frugal GM is always on the lookout for a more efficient way of doing things, and Dropbox is a great tool for doing just that. Generally speaking, most people just use Dropbox for a hassle-free method of syncing files up between computers, which the program does well. What a lot of folks aren't aware of if the fact that you can share Dropbox folder with other people. A Frugal GM gets all of his players to get free Dropbox accounts and then creates shared folders for each player and for the group overall. Anything that need to be shared.....maps, handouts, PC sheets, etc. can simply be placed into the appropriate folder and that is it. Dropbox will do all the distribution work for you. Need to update a map? Just make the changes to the copy in the appropriate folder and you are done. No more sending something off and hoping that the players noticed the email and printed things up. You already know it has been synced to their computer. Yes, you will have to rely on your players to actually notice the documents, but there will be no excuse that they didn't "get" the information.....because Dropbox made sure they got it. In the full interest of disclosure, the Dropbox links on this page are referral links. You start off with 2 GB free on account setup, but you can get 500 MB per person you refer, up to 16 GB free. The cool thing is that this referral link isn't a one-way streak. If you use the referral link you also get 500 MB free! This is just one Frugal GM helping another out.